My Grandmother was very keen on the British Royal Family. Further, I’ve got the Royal memorabilia to prove it. There’s a plate from the 1953 commemorating Queen Elizabeth’s coronation. Then, I have a set of Charles and Diana wedding mugs. There’s a ceramic thimble and a porcelain bell, both bearing portraits of Prince William when he was a baby. 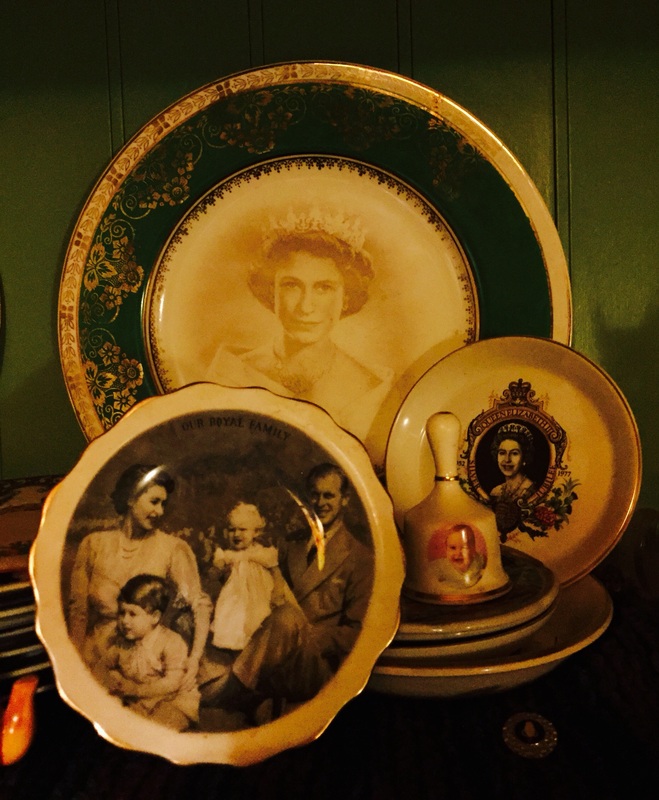 Also, there is a cache of ceramic plates of Queen Elizabeth with her family, on Royal tours, and significant anniversaries. Let us not forget the copper dish from Canada’s centennial celebrations, bearing the image of Queen Elizabeth. That’s just the stuff that I can remember. Whenever the Royals were being featured on television, Grandmother would turned it into a family event complete with coffee, tea, and platefuls of cookies and cakes. These would be served with coordinating luncheon napkins. The two Royal events that I remember celebrating with her the most was the wedding of Charles and Diana in 1981, and when Prince Charles became Prince Of Wales, way back in 1969. Yes, she was quite the Royal watcher. About ten years back, my Grandmother had a bad fall which landed her in Toronto’s Sunnybrook hospital. My Mother came up from Vermont to be by her side. Immediately after giving this reply, my Grandmother threw up her arms in self rebuke, while letting out a small cry of frustration. “No, no, no….” she said to the nurses as she began to correct herself. “Sorry, I was wrong. That’s not my height,” my Grandmother apologized.